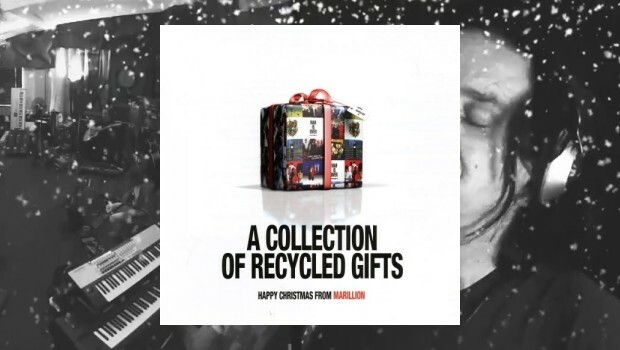 A Collection Of Recycled Gifts is a collection of Christmas songs that Marillion have released to their fans over the years together with one new recording Happy Christmas, War Is Over; which is a pretty straight cover of the John Lennon classic. 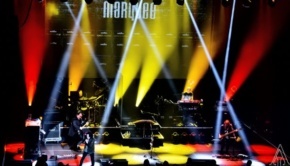 In all, most of the songs on this album, are covers with the occasional Marillion twist, putting their own stamp on the track; a subtle change in the lyrics, or in the case of Lonely This Christmas, a slightly insane punk rock style ending. This is a band having fun, and wishing their fans Merry Christmas. What makes this a Marillion Christmas Album? 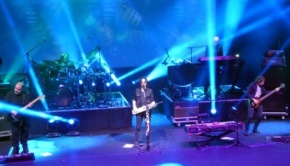 The “Marillionisation” is very much around the sound of Steve Rothery’s guitar work, and H’s (Steve Hogarth) distinctive vocals, this is not to deny the presence of the others, but this is the core of the modern Marillion sound (to my ears). Any of the post Fish albums, are a clear indicator of what you may hear in terms of style. But that said the band are at play, so don’t expect too much. This is an album you can put on for the family over Christmas lunch, with only one song with words your granny may not like. They’ll be happy, and by the time it gets to the last two tracks, and the only ones you can genuinely say are prog, so stuffed and ready for a nap, that you’ll be able to enjoy them in peace. That’s What Friends Are For is not a Christmas song, but a favourite of mine from the Jungle Book; It’s just fun, treat it as such and you can enjoy it. Let It Snow with a twist of Marillion, and kazoo accompaniment, and I Saw Three Ships, are played more or less straight. Three Ships is quite progressive, in some of its styling, but no more so than the Jon Anderson take on his Christmas album Three Ships. The Pogues’ The Erin Marbles, never heard this song before, and think with a few repeated listens it is going to grow on me, still can’t call it prog; more grog than prog. Very much in the style of A Fairy Tale Of New York. This may in fact be some peoples “Bah! Humbug!” moment; hush now, have another mince pie. And finally, well almost, the last two tracks, and I believe worthy of the progressive label. Track ten is Little Saint Nick; it’s not the The Beach Boys, that’s for certain. Complex signatures, changes of key, yeah, to me it is progressive, I will listen with pleasure, and it may not be for sharing, but you need something for yourself at Christmas. And lastly, Carol Of The Bells; last year’s festive season release, and I think rather beautiful; as a single, if there was any justice, it would have featured in the Christmas charts. 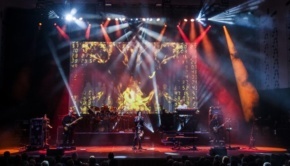 It’s proggy enough, and we all like proggy pudding, blending traditional harmonies, rock passages, and the James Bond theme! A Christmas album by any artist is an indulgence, whether it is Marillion, Annie Lennox, Sting or Tori Amos, all of which I own; there is a lot on this Limited Edition album I will be happy to hear again. It will become a valued addition to my Christmas CD box and without doubt it will receive repeated plays throughout the period. Not everyone’s beverage of choice, but it is a band having fun, passing felicitations onto their fans, and should be taken as such. 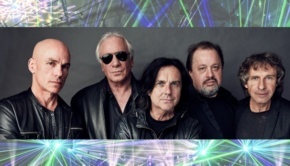 I do recommend it, but if Marillion, Christmas, or what in effect is a novelty album, are not your bag, then avoid; I am glad however, I bought it. One more reason to buy is that a £1 of every sale goes to “The Teenage Cancer Trust”. Numerous Guests all written in tiny writing on the sleeve notes.